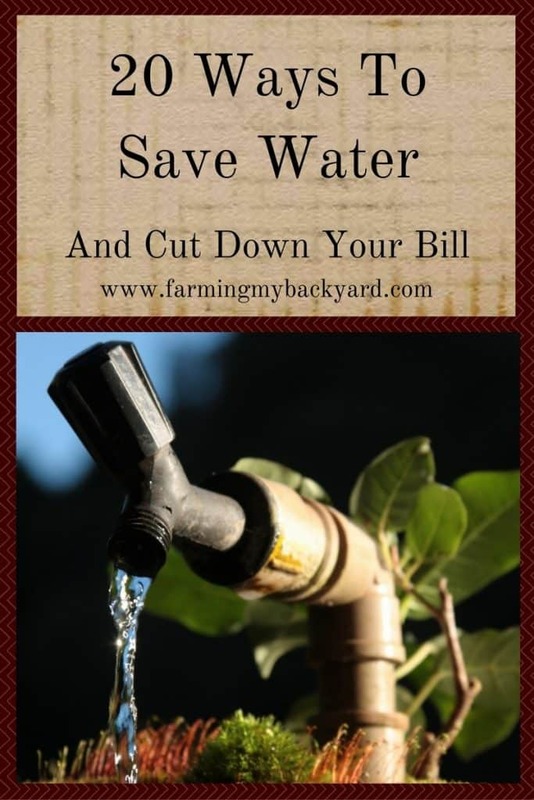 Saving water is a great way to cut down on your water bill. (Use that extra money to buy some more chickens!). There are lots of great reasons to save water. Many areas are in long term droughts and water is expensively being brought in from long distances. Perhaps you are preparing to move to a homestead on a well or cistern. It’s important to utilize your water resources as wisely as you can, so that your plants and animals can flourish in all seasons. Here are some ideas on how you can better utilize your water. When I posted 17 Ways To Save Electricity one of the comments mentioned hand washing dishes takes more water than using a dishwasher. I had read that it depends on the dishwasher and your dish washing method so I was curious and looked it up. Most of the time hand washing dishes does take more water than a newer dishwasher, but I did find a method at Frugal and Thriving that uses only takes 1-2 gallons of water to hand wash an entire load of dishes. You start with a tub and soap, and put in only a little water in the bottom, enough to get it sudsy. Wash the cleanest items first, such as glasses, then rinse directly into your dish tub. This fills it up little by little until you are washing the pots and pans with a full tub of water, which is really the only thing you need so much water for anyway. This was a great way to monitor how much water I could save with each sink load, although I’m glad to have our dishwasher functional at the moment. I like saving electricity, but with four kids sometimes I have to save my sanity first. But who doesn’t like to save water, right? So here is a list of ways you can save water. Yay! Here are 20 more ways you can save water! Hand wash dishes in a tub. Use a high efficiency dishwasher. Hook up your washing machine to drain to your lawn or fruit trees. Hang clothes to drip dry over the garden. Put buckets in the sink and use the water to flush the toilet. Put a bucket in the tub and fill it while you wait for the water to heat. Use it to water the garden. 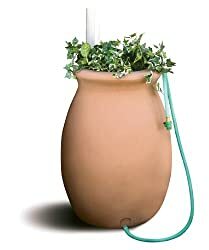 Install drip irrigation or use ollas in the garden. Harvest rainwater for your animals. Use swales to save rainwater for irrigation. Keep a pitcher of cold water in the fridge. Heat water on the stove instead of running it to heat. Install a grey water system. Let your lawn go brown in the summer.